This tournament is one of the most anticipated tournaments of the year behind the World Series of Poker and it starts the day after Thanksgiving. 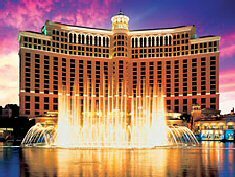 The tournament that I am referring to is the Bellagio Five-Diamond World Poker Classic which will be taking place at the elegant and luxurious Bellagio Hotel & Casino in Las Vegas, NV. The tournament is going to be kicked off with a $500 Spade Club No-Limit Hold Em’ Event and it will end with another $500 buy-in No-Limit Hold Em’ Event and those will be the only available buy-ins under a $1000. Other then the first and last tournament to be played the tournament entry fees will range from $1,500 all the way up to $15,000 which will be the World Poker Tour Doyle Brunson Classic Championship. Another piece of news to note is the fact that John Phan can win his very first Player of the Year honors depending on his results and his closest competitors which are David Pham in third and Bertrand Grospellier who is in second. Below is the complete list of tournaments which will be offered and when they will be offered. Also the cost of entry will also be included.